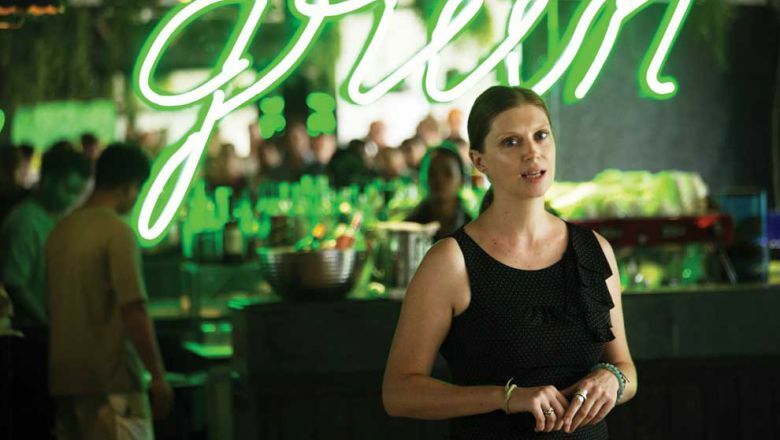 In June 2014, Sarah Rhodes, an Australia, attended an intensive training program on climate leadership, facilitated by Al Gore, former US Vice President and became part of the Climate Reality Leadership Corps. More inspired than ever and as part of her commitment to the program, Sarah set about engaging more people to take action against climate change. In July a friend invited her to join a month long challenge called Plastic Free July – the quest to avoid all single-use plastics for a whole month. This was a huge eye-opener to how much of the main plastics we all use and especially where there is plastic that is less obvious. In October of the same year, she moved to Siem Reap, Cambodia, where impacts of climate change are already felt – the time for action is now! At first Sarah did a couple of presentations on climate change, though she quickly realised that there was a more visible and thus more tactile enemy to conquer – plastic! It began with running a local campaign for Plastic Free July, which was announced at an Earth Day event hosted by the Shinta Mani hotel and its enthusiastic GM Christian de Boer. The opening event, a couple of months later, on July 1, was a huge success with close to 100 people joining and signing up. It was covered in the Phnom Penh Post and this caught the attention of local training restaurant Haven. Haven training restaurant had already been operating plastic-free, but they wanted the staff to understand why. Sarah was able to work with them and create workshops about climate change, reducing plastic and many other environmental awareness topics. Haven take on a new group of trainees every year, PFC now do workshops with them twice a year. 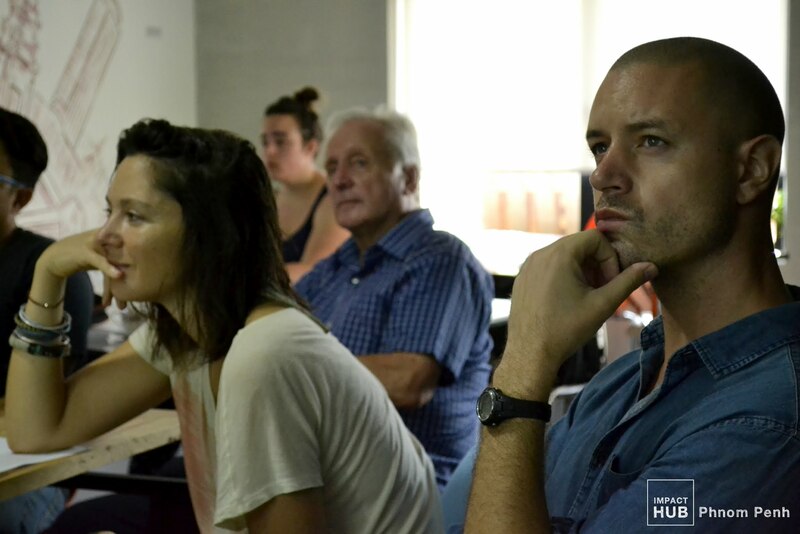 From there it changed and evolved; Sarah was invited to speak and hold a workshop in Phnom Penh at Impact Hub, where she met like-minded people from Phnom Penh, one of whom was Charlotte Muckensturm… Within 6 months of this meeting, Charlotte decided to start running workshops and actions in Phnom Penh and has lead a very successful effort in the capital city, since early 2016. The very first volunteer after Sarah was Sambath Meas, born in Battambang, he’d moved to Siem Reap and was looking for worthy projects. 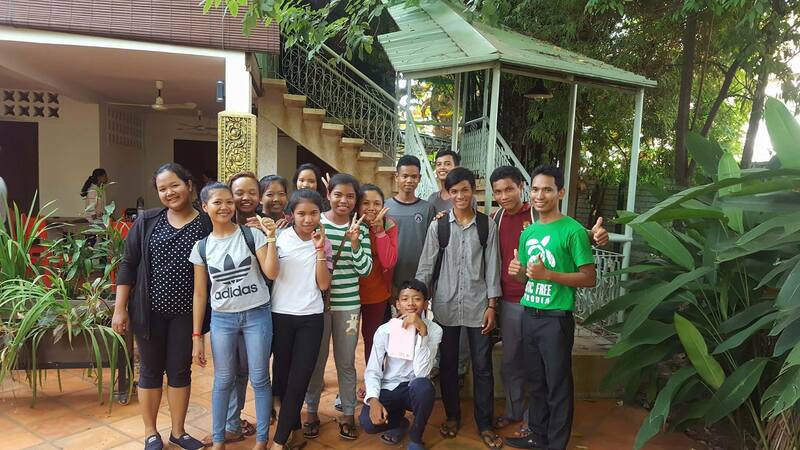 He began leading workshops in Siem Reap and during his visits back to Battambang, during which he inspired a teacher at his local school, Kim Knorr. 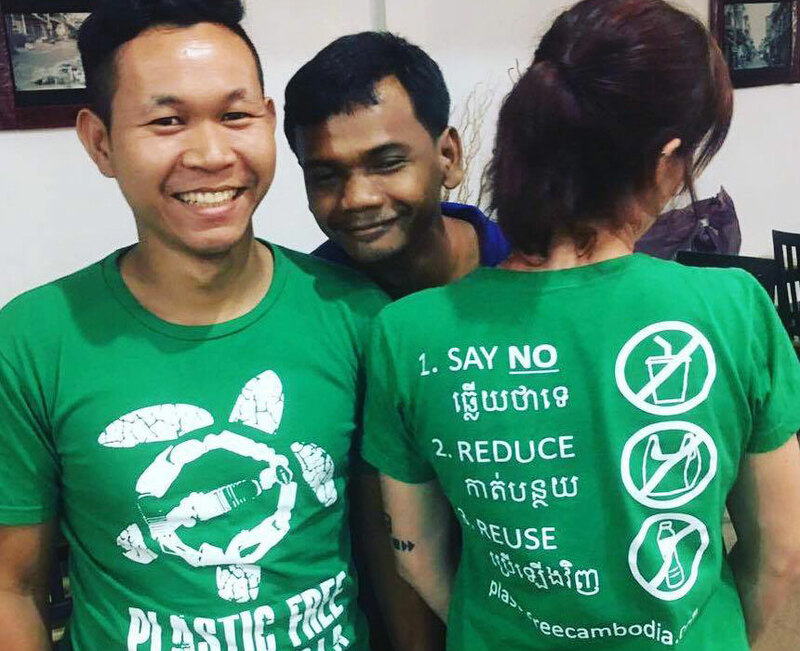 Kim has since created a plastic free environment at the school and engages the Battambang community in fun and educational ways. 2017 was a year of growth. The mission of PFC is more clearly defined, more offerings focussed on helping businesses change their consumption of plastic, by offering advice and alternatives and continuing to provide education and motivation to groups by teaching about the impacts of plastic. 2018 is going to be an interesting year. Through the relationships and networks PFC now offers consulting services for businesses who want to be environmentally conscious and minimise their footprint. Stemming from reduced plastics and encompassing other practices such as composting, eco-friendly insect removal and energy and water saving techniques. The education program is well established and still a major part of what PFC has to offer. And sourcing alternatives to plastic is something PFC do to assist their partners and clients in taking the step to plastic-free without any hassle. Being involved in the community is of high importance for PFC, we want to help people understand and help them solve problems relating to waste. We can’t wait to see what 2018 will bring… we hope you’ll come on this journey with us! Thanks Alin, we’ll be in touch by email.